As we all know Easter weekend is coming up soon! It'll be herer before you know it! So if your in the crafty mood you can try out a craft using rubber bands! If you go to Michael's or any craft store you probably seen a kit called rainbow loom. It's a bracelet making kit that comes with a package of rubber bands, a hook, a loom and a single loom maker as well as instructions. There's some other kits out there that are simaler related to rubber band making for crafts. They may have differnt names for them. Probably priced differntly too! I got mine at Michael's for about $16.00 CDN. There is a new one out with a metal hook for $18.00 CDN. It's been around for almost a year and afew months I guess. 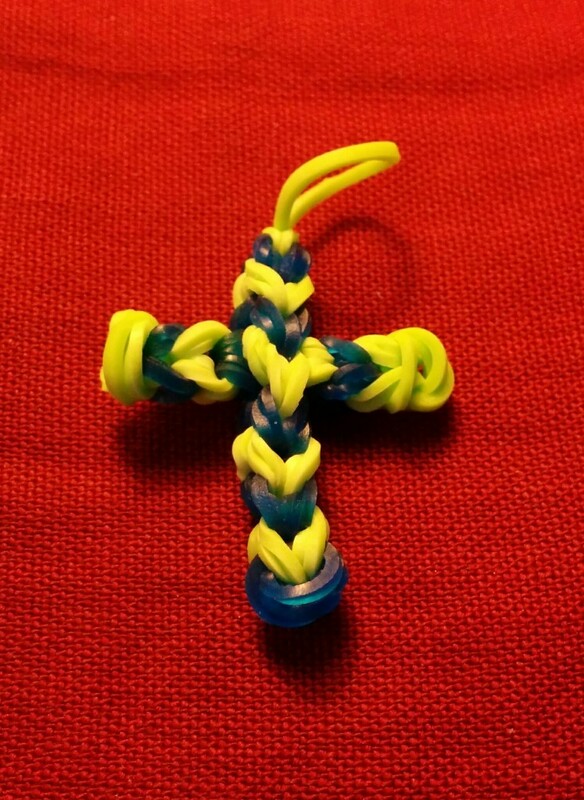 If you are a rainbow loomer check out this cross video I saw on youtube how to make one. I made one myself, it comes out small, but it looks great and neat for an add on to something or maybe a keychain deal! Try it and see! Took it with my phone, sorry if it's to big or to small to see. Here's the video if you want to check out how to make one! I have been trying to grow out my nails so I can try out some cool things I saw on youtube, I think they have been sucessful, although they interupt my typing and PC gaming at times lol. Here is some nail art for you girls that are into doing up your nails all pretty! Why not set an Easter theme. I did a white perl background with crosses and the cloth drapped on the cross. 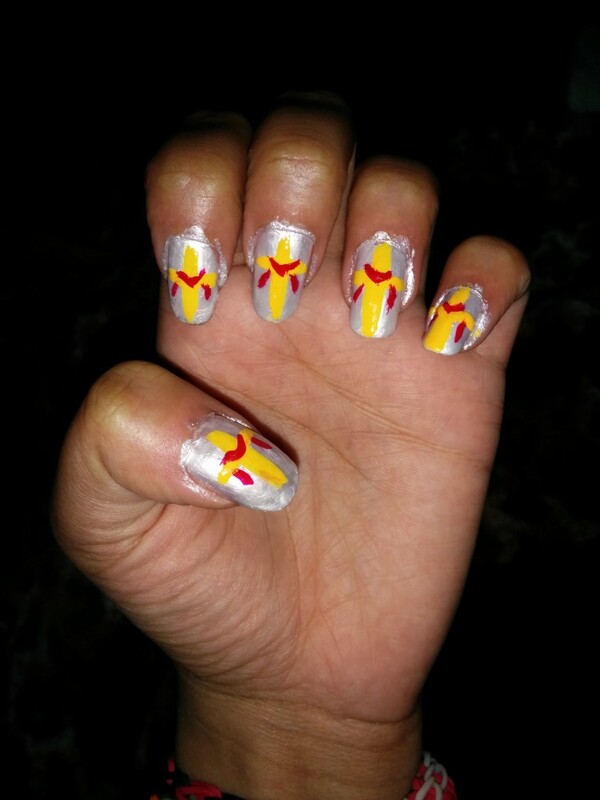 I didn't put the crownof throns as I didn't have a colour that would work and or it might be alittle crowed on the nail. I might have to see some time. If I do i'll update you how it turned out! This entry was posted in Images, Videos and tagged crafts, Easter by Tigger. Bookmark the permalink. Pretty cool stuff girl! These are just a couple of ways that you can fulfill the great commission and "plant some seeds". Very cool. thx, hope your Easter gose well!